Slim heart necklace handmade in our White Damask print which has soft tones of mint and aquamarine..
A slightly larger version of our slim heart shape makes a stunning statement piece in our new Damask print. 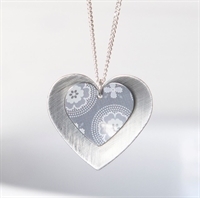 Heart pendant is supplied on an 18" sterling silver curb chain. 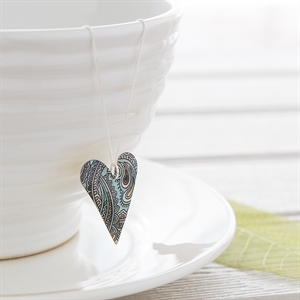 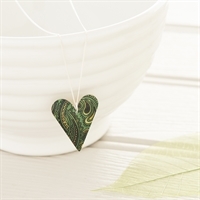 Slim heart necklace handmade in our Green Damask print.